The historic event of the reunion of His Grace Archbishop Geevarghese Mar Ivanios with the Catholic Church took place on 20 September 1930. Archbishop Mar Ivanios and Mar Theophilos along with Fr. John Kuzhinapurath OIC, Deacon Alexander OIC and Mr. ChackoKilileth, members of the Malankara Orthodox Church, made their profession of faith on the very same day and entered into full communion with the Catholic Church before His Excellency Aloysius Maria Benziger OCD, Bishop of the Diocese of Quilon (Kollam), who was specially delegated by the Holy See. His Grace Mar Ivanios initiated the work of the re-union movement under the guidance of the Holy See, especially in the light of the Apostolic Decree Magnum Nobis of His Holiness Pope Pius XI. His Grace made his visit to Rome in1932 and His Holiness Pope Pius XI invested him with the Sacred Pallium. The Holy Father, Pope Pius XI through the Apostolic Constitution Christo Pastorum Principi of 11 June 1932, established the Syro-Malankara Hierarchy and erected the Archieparchy of Trivandrum as the Metropolitan See with the suffragan Eparchy of Tiruvalla. The territorial boundary of the Archieparchy of Trivandrum was established from Kanyakumari, the southernmost part of India to the north up to river Pampa, to the Western Ghats in the east and to the Arabian Sea in the west. The Metropolitan Eparchy of Trivandrum, with its head quarters in Trivandrum, was inaugurated on 11 May 1933 and His Grace Mar Ivanios was enthroned as its first Metropolitan-Archbishop at the provisional Cathedral, dedicated to the Mother of God, at Palayam, Trivandrum. Having made the Profession of faith before the august assembly of the Bishops, priests and laymen and amidst the acclamations of ‘Oxios’ (a customary hymn for the occasion) Archbishop Mar Ivanios was enthroned as the Metropolitan Archbishop of Trivandrum and the Hierarchical Head of the Syro-Malankara Catholic Church. The Apostolic Constitution was executed by His Excellency Aloysius Maria Benziger,the Bishop of Quilon. On the following day His Grace Mar Ivanios celebrated the solemn Qurbono in the same Pro-Cathedral, concelebrated by Bishop Jacob Mar Theophilos, the Bishop of Tiruvalla. His Grace Mar Augustine Kandathil, the Archbishop of Ernakulam, His Grace Mar James Kalassery, the Archbishop of Changanassery, His Excellency Mar Alexander Choolaparambil, the Bishop of Kottayam, Rt. Rev. Joseph Pulikottil Remban and Rt. Rev. Philipose Cheppad Remban were present on the occasion. As part of the evangelization ministry of the southern regions of Thiru-kochi including parts now bordering Tamil Nadu, Archbishop Mar Ivanios himself initiated evangelization ministry at Marthandom. Later, with the blessings of Archbishop Mar Ivanios, Rt. Rev. Msgr. Joseph Kuzhinjalil founded the missionary congregation of the Daughters of Mary in 1938 at Marthandom in Kanyakumari District. Through the great zeal of these missionaries, the mission of the Syro-Malankara Catholic Church spread to the southern regions of Kerala and Tamil Nadu. Mar Ivanios worked relentlessly for the building up of the Syro-Malankara Catholic Church. Through his travels abroad (Rome and other European countries, America and Australia) he spread the message of ecclesial communion and the awareness of the mission of the Syro-Malankara Catholic Church in the Universal Church. After a period of 22 years of strenuous hectic task of organizing and administering the Syro-Malankara Catholic Church he fell ill for more than a year. Archbishop Mar Ivanios ordained Benedict Mar Gregorios as his Auxiliary and as the Titular Bishop of Anterdos on 29 January 1953. After a period of heroic leadership for the Syro-Malankara Catholic Church, and for the Metropolitan Eparchy of Trivandrum, Archbishop Mar Ivanios was called to eternal rest on 15 July 1953 and was entombed at St. Mary’s Cathedral. Upon the demise of His Grace Mar Ivanios, His Excellency Benedict Mar Gregorios was appointed the Apostolic Administrator of the Metropolitan Eparchy of Trivandrum by the Holy See. On 27 January 1955, His Holiness Pope Pius XII appointed him the Metropolitan Archbishop of Trivandrum thereby also as the Head of the Syro- Malankara Catholic Church. Under the spiritual leadership, pastoral guidance and social commitment of Archbishop Benedict Mar Gregorios, the Church began to flourish in its various dimensions throughout the States in South India, North America and other European Countries. The Syro-Malankara Catholic Church was making rapid growth. Most Rev. Paulos Mar Philoxinos, the Metropolitan of the Malabar Independent Church, reunited with the Syro-Malankara Catholic Church on 28 August 1977 and was appointed Episcopal Vicar of the Metropolitan Eparchy of Trivandrum. His Excellency Most Rev. Lawrence Mar Ephrem was appointed Auxiliary to the Metropolitan Archbishop of Trivandrum and Titular Bishop of Barkuso on 6 November 1980 and was ordained Bishop by His Grace Benedict Mar Gregorios on 27 December 1980 at Kottayam during the Golden Jubilee celebration of the Reunion Movement. The Syro- Malankara Catholic Church was fortunate to welcome His Holiness Pope John Paul II of Happy Memory on 8 February 1986 at St. Mary’s Cathedral, Pattom, Trivandrum. His Holiness was accorded a cordial reception by the entire Church, the Hierachy and the represantatives of the Clergy, the Religious and the Laity. The Supreme Pontiff was garlanded at the entrance of the Cathedral by His Grace Benedict Mar Gregorios, the Metropolitan Archbishop and was received in to the Cathedral with the liturgical reception by the Bishops of the Syro- Malankara Catholic Church. His Holiness prayed at the sanctuary. After the welcome speech of His Grace Benedict Mar Gregorios, the Holy Father gave His speech. In His Speech the Holy Father praised the unity endeavors of Mar Ivanios “In coming to this cathedral, I pay honour to the memory of Archbishop Mar Ivanios who is buried here. Among the many apostolic endeavors of his zealous pastor of souls, none was more dear to him than the promotion of unity among christians.” After the visit to St. Mary’s Cathedral, His Holiness addressed the whole Catholic community from Trivandrum and the neighbouring districts at Shankumukham beach. In His memorable speech at Shankumukham the Holy Father praised the heroic leadership of Mar Ivanios of Happy Memory and the ecclesial significance of the Syro-Malankara Reunion Movement (L’Osservatore Romano, Feb. 17, 1986). His Eminence Cardinal Lourdusamy, the Prefect of the Congregation for the Oriental Churches, visited the Metropolitan Eparchy of Trivandrum on 19 August 1987. After an eventful leadership of 41 years His Grace the Metropolitan Archbishop Benedict Mar Gregorios was called to eternal rest on 10 October 1994 and was buried at St. Mary’s Cathedral. His Excellency Most Rev. Lawrence Mar Ephrem, the Proto-Syncellus, was elected the Administrator of the Metropolitan Eparchy of Trivandrum. As per the appointment of Holy See, on 14 December 1995 His Excellency Most Rev. Cyril Mar Baselios, the Bishop of Bathery, was enthroned the Metropolitan Archbishop of Trivandrum and the Head of the Church at St. Mary’s Cathedral, Trivandrum. His Grace received Sacred Pallium from the Holy Father Pope John Paul II on 9 January 1996 in Vatican. His Eminence Achille Cardinal Silvestrini, Prefect of the Congregation for the Oriental Churches, visited the Metropolitan Eparchy of Trivandrum, on 12 & 13 of February 1996. His Eminence Josef Cardinal Tomko, Prefect of the Congregation for the Evangelization of Peoples was received in the Archbishop’s House on 2 November 1996. Upon the request of His Grace Cyril Mar Baselios, bifurcating the Metropolitan Eparchy of Trivandrum, His Holiness Pope John Paul II erected the Eparchy of Marthandom on 16 December 1996 and Most Rev. Lawrence Mar Ephrem was appointed as its first Bishop. His Grace Cyril Mar Baselios officiated the Installation of His Excellency Mar Ephrem at Christuraja Cathedral, Marthandom on 23 January 1997. The territorial boundary of the Eparchy of Marthandom extends to Kanyakumari in the south, Kaliyikavilai in the west, Kavalkinar in the north and Kumarapuram in the east. The new extension of the Archbishop’s House ‘Thirusannidhi’ was blessed by Metropolitan Archbishop Most Rev. Cyril Mar Baselios on 11 and 12 March 1998. On 16 April 1998, the Holy See appointed Most Rev. Joshua Mar Ignathios as the Auxiliary Bishop for the Archieparchy of Trivandrum. He was ordained Bishop on 29 June 1998 at Mar Ivanios Nagar, Nalanchira, by Metropolitan Archbishop His Grace Cyril Mar Baselios. His Excellency Most Rev. Paulos Mar Philoxinos, Episcopal Vicar of the Metropolitan Eparchy of Trivandrum passed away on 3 November 1998, and was buried in St. John’s Cathedral, Tiruvalla. On 18 June 2001 Most Rev. Isaac Mar Cleemis was appointed by the Holy See as the Apostolic Visitator of North America and Europe and the Auxiliary Bishop of Trivandrum and as the titular Bishop of Chayal. His Episcopal Ordination took place on 15 August 2001 at St. Mary’s Malankara Catholic Church, Thirumoolapuram, Tiruvalla. His Grace Cyril Mar Baselios, the Metropolitan Archbishop was the principal consecrator. 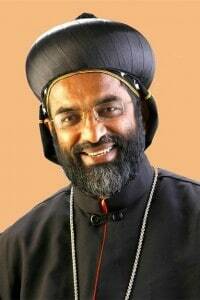 The Holy See on 11 September 2003 appointed Bishop Isaac Mar Cleemis, as the Bishop of Tiruvalla when Bishop Geevarghese Mar Timotheos gave resignation due to super-annuation (on 29 March 2003). Most Rev. Isaac Mar Cleemis was installed Bishop of Tiruvalla on 2 October 2003. Most Rev. Joseph Mar Thomas was appointed by Holy Father Pope John Paul II as Apostolic Visitor to North America and Europe and Auxiliary Bishop of Trivandrum and as the Titular Bishop of Silcilibbensis on 5 January 2005. He was ordained Bishop on 19 February 2005 at St. Mary’s Cathedral, Trivandrum, by His Grace Cyril Mar Baselios, the Metropolitan Archbishop. On 10 February 2005, a day engraved in golden letters in the history of the Syro-Malankara Catholic Church, His Holiness Pope John Paul II of venerable memory raised this Church to the status of a Major Archiepiscopal Church and appointed the then Metropolitan Archbishop as Major Archbishop of the Syro-Malankara Catholic Church by the Papal Bull Ab ipso Sancto Thoma (Pope John Paul II, Apostolic Bull, Ab ipso Sancto Thoma, Prot. No. 570.809, February 10, 2005, Malankara, 1 (2005) 1, p. 12). This was the crowning event of all the ecclesial communion endeavors since 1653. Thus the Syro-Malankara Catholic Church obtained the Synodal hierarchical structure with Major Archbishop as the ‘father and head’ (pater et caput) of the Church exercising Patriarchal powers with the Synod of Bishops. In accordance with the provisions of the CCEO and the tradition of the Malankara Church, which has its roots in the Syro-Antiochene tradition, the Major Archbishop is the ‘Catholicos’ of the Syro-Malankara Catholic Church, who with the Holy Episcopal Synod exercises Patriarchal powers envisaged in the CCEO (Pope Pius XII, Motuproprio, Clerisanctitati, AAS 49 (1957) 430-603, c. 335). In complete concordance with this tradition, the pater et caput of the Syro-Malankara Catholic Major Archiepiscopal Church assumed the title ‘Catholicos’ along with the title Major Archbishop. The announcement was officiated by His Grace Pedro Lopez Quintana, the Apostolic Nuncio at St. Mary’s Cathedral, Pattom in the presence of all Bishops of the Syro-Malankara Catholic Church and a large number of clergy and faithful. The Enthronement of Major Archbishop-Catholicos Moran Mor Cyril Baselios, as the Father and Head of the Syro-Malankara Catholic Major Archiepiscopal Church and Major Archbishop of Trivandrum was held at St. Mary’s Cathedral on 14 May 2005. His Eminence Ignace Cardinal Mousa Daoud, the Prefect of the Congregation for the Oriental Churches and the Patriarch Emeritus of the Syrian Catholic Church of Antioch presided over the liturgy of enthronement. A large number of Bishops, dignitaries, clergy, religious and lay people participated in the functions. The Platinum Jubilee of the Reunion Movement and the Year of the Eucharist were celebrated jointly at Mar Ivanios Nagar, Punnamoodu, Mavelikara on 19, 20, 21 September 2005. His Grace Pedro Lopez Quintana, the Apostolic Nuncio in India, Shri Bhaironsingh Shekhawat, the Vice-President of India, and Sri Oommen Chandy, the Chief Minister of Kerala, participated in the celebrations. As per the decision of the Holy Episcopal Synod of the Syro-Malankara Catholic Church, and with the assent of the Holy See, His Beatitude Moran Mor Cyril BaseliosCatholicos, the Major Archbishop-Catholicos, bifurcated the Major Archieparchy of Trivandrum, and established the new Eparchy of Mavelikara on 1 January 2007 (Decree, Prot. No. 1/2007). His Excellency Most Rev. Joshua Mar Ignathios, the Auxiliary Bishop of Trivandrum was transferred and appointed (Decree, Prot. No. 2/2007) as the first Bishop of Mavelikara, by His Beatitude Cyril Baselios. The Eparchy of Mavelikara comprises of the presbyteral districts of Mavelikara and Kollam and parts of the presbyteral districts of Chengannur and Adoor. Most Rev. Joshua Mar Ignathios was installed in office at St. Mary’s Church, Puthiakavu on 16 February 2007. As per the decision of the Second Ordinary Holy Episcopal Synod of the Syro-Malankara Catholic Church, which was convoked on 6-7 December 2006 and the ministerial titles of Ramban and Corepiscopo which were in vogue were revived in the Church and to honour a few priests for their meritorious service in the Church. Moran Mor Cyril Baselios Catholicos conferred these titles on ten priests on 17 January, 2007 at St. Mary’s Cathedral, Pattom. His Beatitude Moran Mor Cyril Baselios, the first Major Archbishop-Catholicos of the Syro-Malankara Catholic Church passed away on 18 January 2007 and was entombed at St. Mary’s Cathedral, Pattom, Trivandrum on 20 January 2007. On 18 January 2007, Most Rev. Geevarghese Mar Divannasios, the Bishop of Bathery assumed the office of the Administrator of the Syro-Malankara Catholic Church and of the Major Archieparchy of Trivandrum as per CCEO c. 127. The members of the Holy Episcopal Syro-Malankara Catholic Major Archiepiscopal Church assembled for the Synod of Election for the first time in the history of the Syro- Malankara Catholic Church on 8 February 2007. On 10 February 2007, after getting the confirmation from the Holy Father Pope Benedict XVI (Decree, No. 13.695/07), the Administrator of the Syro- Malankara Catholic Church announced the election of His Grace Most Rev. Isaac Mar Cleemis, the then Metropolitan Archbishop of Tiruvalla as the new Major Archbishop-Catholicos and the Major Archbishop of Trivandrum. As per the tradition of the Malankara Church, the new Major Archbishop-Catholicos assumed the official name Baselios (along with his episcopal name Cleemis). This was the first election of the Head of an Oriental Catholic Church in India. Moran Mor Baselios Cleemis was enthroned as the Second Major Archbishop-Catholicos of the Syro-Malankara Catholic Church and the Major Archbishop of Trivandrum on 5 March 2007 at St. Mary’s Cathedral, Pattom. His installation service was officiated by Most Rev. Geevarghese Mar Divannasios, the Synodal Administrator of the Church. A large number of ecclesiastical and political dignitaries including His Eminence Cardinal Telesphore Toppo (President of the CBCI), His Eminence Cardinal Varkey Vithayathil (Major Archbishop of the Syro-Malabar Church) and Shri. V. S. Achuthanandan (the Chief Minister of Kerala), His Grace Oswald Gracious (Archbishop of Bombay), Official representatives of the Congregation for the Oriental Churches, a large number of Bishops, Priests, Religious, lay faithful and social and political leaders participated in the Enthronement ceremony and public meeting. During the 54th Anniversary of the Commemoration of Archbishop Mar Ivanios, His Beatitude Moran Mor Baselios Cleemis, the Major Archbishop-Catholicos proclaimed Mar Ivanios as Servant of God at St. Mary’s Cathedral, Pattom on 14 July 2007. The Tomb of the venerable prelates in St. Mary’s Cathedral was renovated and extended in July 2008. His Beatitude Moran Mor Baselios Cleemis Catholicos blessed the tomb chapel on 5th July 2008. The sanctuary of St. Mary’s Cathedral was renovated and portico was extended to the Cathedral in November 2008. His Beatitude blessed the renovated sanctuary and the portico on November 8, 2008. The Platinum Jubilee of the Major Archieparchy of Trivandrum (1933-2008) was celebrated in a meaningful way during 2007-2008. Renewal conventions were held in every ecclesiastical district. 75 houses were built and given to the poor families of the Major Archdiocese. Many charity schemes were launched in parishes and districts. The Jubilee was formally concluded with the visit of His Eminence Leonardo Cardinal Sandri, the Prefect of the Congregation for the Oriental Churches on 10 November 2008. His Eminence was received at St.Mary’s Cathedral, by the Holy Episcopal Synod. During the Holy Mass, the Cardinal Prefect delivered the Jubilee Message and imparted the Blessing of the Holy Father. Upon the request of His Beatitude Moran Mor Baselios Cleemis, Major Archbishop Catholicos, the Supreme Pontiff Pope Benedict XVI, elevated St. Mary Queen of Peace Church, Palayam to the title and dignity of a Minor Basilica with all its rights and liturgical privileges on 13 October, 2008, as a souvenir of the Platinum Jubilee of the Major Archieparchy of Trivandrum (2007-2008). The formal announcement of the Basilica was made by His Eminence Leonardo Cardinal Sandri, the Prefect of the Congregation for the Oriental Churches during his visit on 10 November 2008. The church was elevated to the status of Basilica through a solemn liturgical ceremony by His Beatitude Moran Mor Baselios Cleemis, Major Archbishop Catholicos, on 7 December 2008. From 20-26 September 2009, His Beatitude Moran Mor Ignace Yousuf III Younan, the Patriarch of the Syrian Catholic Church of Antioch and a Delegation from the same Church visited the Major Archieparchy of Trivandrum. His Beatitude the Patriarch was the chief guest at the 79th Reunion Day Celebrations on 19-21 September, 2009. As per the decision of the Holy Episcopal Synod of the Syro-Malankara Catholic Church and having consulted the Apostolic See of Rome, His Beatitude Moran Mor Baselios Cleemis, Major Archbishop-Catholicos, erected the Eparchy of Pathanamthitta bifurcating the Major Archieparchy of Trivandrum on 25 January 2010. The official declaration was made on the same day by His Beatitude the Major Archbishop-Catholicos at St.Mary’s Cathedral. The territory of the Eparchy of Pathanamthitta consists of four ecclesiastical districts – Pathanamthitta, Konni, Ranni-Perunadu, Pandalam and the parishes of Anandapally, Angadickal, Chandanapally, Pongalady and Thatta of the eccelsiatical district of Adoor. His Beatitude transferred His Excellency Yoohanon Mar Chrysostom from the Eparchy of Marthandom and appointed him to the new Eparchy of Pathanamthitta as its first Bishop. The new Eparchy of Pathanamthitta was inaugurated and its first Eparch His Excellency Most Rev. Yoohanon Mar Chrysostom was installed by His Beatitude Moran Mor Baselios Cleemis Major Archbishop-Catholicos on 20 March 2010. Inauguration ceremony was conducted at Cyril Baselios Catholicos Nagar (Muncipal Stadium, Pathanamthitta) and the installation took place at Sacred Heart Malankara Catholic Church, Mylapra. The Mar Thoma Syrian Christian Community of Kerala was an autonomous Church in the unity of the Catholic Church, ever since its foundation in 52 A.D by St. Thomas, the Apostle. They remained one body and flourished in the course of years. But in the seventeenth century, due to the intervention of the Portuguese missionaries a schism occurred. A good section of the Syrians eventually became Jacobites under the Patriarch of Antioch. Ever since the schism, attempts at reunion were made. On September 20, 1930 the Reunion Movement took shape with the reunion of two eminent Jacobite Prelates, the late Archbishop Mar Ivanios and late Bishop Jacob Mar Theophilos. It was a triumph of ecumenism as their reunion took place as a church accepted with its liturgy, customs and jurisdiction. Thus it prepared a way for a complete reunion of the Jacobite-Orthodox Church of Kerala. As the Reunion Movement developed speedily, Pope Pius XI established the Malankara Hierarchy for the reunited people and established the Archieparchy of Trivandrum and the Eparchy of Tiruvalla by the Apostolic Constitution, Cristo Pastorum Principi dated June 11, 1932. Accordingly the Eparchy of Tiruvalla was established on November 6, 1933 and Rt. Rev. Jacob Mar Theophilos was enthroned as its first Bishop. He was called for his eternal reward on 27 June 1956. His Excellency Most Rev. Thomas Mar Dioscoros Metropolitan reunited with the Malankara Catholic Church and joined in the Eparchy of Tiruvalla from the Knanaya Jacobite Church on 12 November 1939 and led a private life at Thirumoolapuram. He passed away on 21 February 1943. His Grace Most Rev. Joseph Mar Severios, Metropolitan of the Niranam Diocese of the Orthodox Church reunited with the Malankara Catholic Church on November 29, 1937. Due to the ill-health of Mar Theophilos, the Holy See appointed His Grace Joseph Mar Severios as the Apostolic Administrator of the Diocese of Tiruvalla in 1938. He was appointed as the Bishop of the diocese of Tiruvalla in 1951. He was called for his eternal rest on 18 January 1955. The Holy See appointed Rev. Fr. Cherian Polachirackal Auxiliary to the Bishop of Tiruvalla. His consecration was on 22 April 1954 and he took the name Zacharias Mar Athanasios. The Holy See appointed His Excellency Mar Athanasios as Bishop of Tiruvalla on 27 January 1955. The Eparchy was extended from the river Pampa in the south to the river Ponnani in the north and from the Arabian Sea in the west to the Western Ghats in the east. The Eparchy was further extended to the north from the river Ponnani by the decree of the Sacred Congregation for the Oriental Churches, by Prot N.534/43 dated February 14, 1958 and brought under it the whole of Malabar region of Kerala, the civil districts of Coimbatore and Nilgiris and Karoor Taluk in Triuchirappally District of Tamil Nadu and the districts of Mysore, Mandya, Coorg, Hassan, Chickamangalore, Shimoga and South Kanara of Karnataka State. His Excellency Zacharias Mar Athanasios entered into eternal rest on 28 September 1977. Rt. Rev. Msgr. Mathew Nedungattu was elected the Administrator. His Holiness Pope John Paul II by the Apostolic Constitution of October, 28, 1978 separating the civil districts of Malappuram, Kozhikode and Kannoor of Kerala, Nilgiris of Tamil Nadu and Coorg, Mysore, Mandya, Hassan, South Kanara, Chickamangalore and Shimoga of Karnataka from the Eparchy of Tiruvalla, established the Eparchy of Bathery and appointed His Excellency Most Rev. Cyril Mar Baselios as its first Bishop. The official inauguration of the Eparchy was on 2 February 1979. Very Reverend Father Isaac Koottaplackal was appointed bishop of Tiruvalla to succeed His Excellency Most Rev. Zacharias Mar Athanasios. His consecration took place on 28 December 1978 at Mar Ivanios Nagar, Thirumoolapuram and he received the name Isaac Mar Youhanon. His Holiness Pope John Paul II sent His Eminence Cardinal Wadislaw Rubin, the Prefect of Sacred Congregation for the Oriental Churches as his delegate to the golden jubilee celebration of the Reunion Movement, held in December 1980 at Kottayam in the Eparchy of Tiruvalla. The golden jubilee of the establishment of the Eparchy was celebrated in January 1984 at St. John’s Cathedral, Tiruvalla. Mar Youhanon was called for eternal peace on 28 April 1987. Rev. Fr. George Chundevalel was elected the Administrator who later was appointed as the bishop of the Eparchy with the name Geevarghese Mar Timotheos. His consecration took place on 6 August 1988 at St. John’s cathedral, Tiruvalla. His Eminence Achille Cardinal Silvestrini, the Prefect of the Congregation for Oriental Churches visited the Eparchy in February 1996. Reverend Father Mammen Chackalapadickal was appointed Auxiliary to the Bishop of Tiruvalla. He was consecrated Bishop on 17 July 1997 at St. John’s Cathedral, Tiruvalla with the name Thomas Mar Koorilos. The septuagenial of the Reunion Movement was celebrated at Tiruvalla on 27 December 2000. The Patriarch Emeritus of the Syrian Catholics in Antioch and the present Prefect of the Congregation for the Oriental Churches, His Eminence Cardinal Ignace Moussa Daoud was the chief guest. His Holiness Pope John Paul II bifurcated the Eparchy of Tiruvalla and established the Eparchy of Muvattupuzha, which includes the revenue Districts of Ernakulam, Thrissur and Palakkad of Kerala. The new Eparchy was inaugurated on 6 February 2003 and His Excellency Most Rev. Dr. Thomas Mar Koorilos was appointed by the Holy Father as the first Bishop of Muvattupuzha. On 29 March 2003 the Holy See accepted the resignation of His Excellency Geevarghese Mar Timotheos from the Eparchial administration due to super-annuation. Rev. Dr. Stephen Thottathil was elected the Administrator. The Holy See appointed His Excellency Most Rev. Dr. Isaac Mar Cleemis as the sixth Bishop of the Catholic Eparchy of Tiruvalla on 11 September 2003. His Excellency Isaac Mar Cleemis took charge of the Diocese on 2 October 2003 at St. John’s Cathedral, Tiruvalla. The newly built St. John’s Cathedral was consecrated on 20 and 21 of September 2004 by His Grace Cyril Mar Baselios, the Metropolitan Archbishop of the Syro-Malankara Catholic Church. His Eminence Cardinal Ignace Moussa Daoud paid a visit to the Eparchy on 12 May 2005. As per the decision of the Second Holy Episcopal Synod His Beatitude Moran Mor Cyril Baselios Catholicos erected a new Metropolitan Province of Tiruvalla bifurcating the Metropolitan Province of Trivandrum on 15 May 2006. Thus the Eparchy of Tiruvalla was elevated to the status of a Metropolitan Eparchy with the Eparchies of Bathery and Muvattupuzha as its suffragans. On the same day, His Beatitude Moran Mor Cyril Baselios Catholicos appointed His Grace Most Rev. Dr. Isaac Mar Cleemis as the first Metropolitan Archbishop of Tiruvalla. It was announced at St. John’s Cathedral, Tiruvalla. His Grace Most Rev. Dr. Isaac Mar Cleemis was installed as the Metropolitan Archbishop of the Archieparchy of Tiruvalla on 10 June 2006 at St. John’s Metropolitan Cathedral, Tiruvalla. His Beatitude Cyril Baselios the Major Archbishop-Catholicos was the main Celebrant and about thirty Bishops and a vast group of civil and social leaders and thousands of faithful participated in the Installation Ceremony. After the demise of the His Beatitude Moran Mor Cyril Baselios Catholicos, the Holy Episcopal Synod of the Syro-Malankara Catholic Church elected His Grace Most Rev. Isaac Mar Cleemis, the then Archbishop of Tiruvalla, as the second Major Archbishop-Catholicos of our Church. Thus, the See of Tiruvalla fell vacant. The Malankara Catholic Eparchy of Bathery is the fruit of the missionary zeal and desire for the unity of the Church expressed by the committed laity, priests and prelates of the Syro-Malankara Church. In 1958, the Holy See extended the jurisdiction of the Eparchy of Tiruvalla further towards the North of Kerala and some districts of Karnataka and Tamilnadu. After the extension His Excellency late Zacharias Mar Athanasios sent priests to the new regions. These pioneers of Malabar mission began to work zealously among the Malankara faithful and they gave leadership for the Re-union movement and Evangelization. As a result parishes and mission centers were established in different places. In order to accelerate the re-union movement and evangelization, His Excellency Most Rev. Zacharias Mar Athanasios requested the Holy See to bifurcate the Diocese of Thiruvalla and to erect a new Diocese with Sulthan Bathery as its headquarters. His Holiness Pope John Paul II erected the Eparchy of Bathery on 28 October 1978 and Rev. Dr. Cyril Malancheruvil was appointed as the first Bishop of Bathery. His Excellency Most Rev. Cyril Mar Baselios officially took charge of the Eparchy of Bathery on 2 Ferbruary 1979 and the new diocese was inaugurated during the solemn function held at St. Thomas Pro-Cathedral, Sulthan Bathery. There were around 8500 Malankara Catholic faithful in 43 parishes and mission stations at the beginning of the diocese. The pastoral care of the community was entrusted to 18 diocesan priests and 2 priests from Bethany Ashram who were zealous and committed in the Apostolate. Bethany sisters and sisters of Deena Sevana Sabha also gave valuable services in different parts of the diocese. As a result, thousands of families and some priests from prominent families came into full communion of the Catholic Church. Within a short period of time, many parishes and mission stations were established in different parts of the Eparchy. Most Rev. Cyril Mar Baselios gave great leadership for all the pastoral activities. The far-sighted vision of Mar Baselios led the Eparchy in the heights of its growth. The Apostolate of the Eparchy was organized under various departments. The faith formation of the children, youth, men and women were guaranteed by the Apostolate of Catechism, youth ministry, ‘Pithrusangam’ and ‘Mathrujyothis’. The Bible Apostolate Department takes initiative for the promotion of Bible studies and distribution of Bible among the faithful. Malankara Catholic Association is the official organization of the Malankara Catholic faithful for the Social involvement and leadership. The Eparchy also gave due importance to its social commitment, taking seriously the life situation of the people around. The Eparchy chalked out a social programme aimed at promoting the integral growth of men and Women. The Social Service Centre, named Shreyas, which is the official organ of the Eparchy for promoting Social justice and fellowship, is instituted in view of creating a more human and just society, based on Gospel values, through a scientific programme of mass education, mass mobilization and mass action. The Eparchy also started few educational institutions under the Corporate Educational Agency of the Eparchy to impart a value based education to the youth irrespective of caste and creed. Msgr. Mathew Nedungatt and Msgr. Thomas Thannickakuzhy, Msgr. Thomas Charivupurayidom and Msgr. Eldho Puthenkandathil served the Eparchy as its Vicar Generals. The Diamond Jubilee of the Malankara Reunion Movement was celebrated in the Eparchy on 20, 21 September 1990 at Sulthan Bathery. His Eminence Wladislao Cardinal Rubin, the former Prefect of the Congregation for the Oriental Churches visited the Eparchy on 9 January 1981 and inaugurated the Pastoral Council and Parish Senate in the Diocese. The Eparchy of Bathery was blessed by the visit of His Eminence Simon D. Cardinal Lourdusamy, the then Prefect of the Congregation for the Oriental Churches on 25 August 1987. After 17 years of inspiring leadership in the Diocese, His Excellency Most Rev. Cyril Mar Baselios left for Trivandrum on 12 December 1995 as he was appointed Metropolitan Archbishop of Trivandrum and the Head of the Malankara Catholic Church. His Grace Cyril Mar Baselios took charge of the Church and of the Archdiocese of Trivandrum on 14 December 1995. From 14 December 1995 till 5 February 1997, the Eparchy was led by Rev. Msgr. Thomas Thannickakuzhy as its Administrator. On 18 December 1996 His Holiness pope John Paul ll appointed Very Rev. Dr. Varghese Ottathengil, the then Rector of St. Mary’s Malankara Major Seminary, Trivandrum as the new Bishop of Bathery, Msgr. Varghese Ottathengil was consecrated as Bishop on 5 February 1997 at Mar Athanasios Nagar, Bathery by His Grace Cyril Mar Baselios, the Head of the Malankara Catholic Church. Rev. Dr. lsaac Thottunkal was the Vicar general of the Eparchy from 1999 to 2001. Then he was appointed Apostolic Visitor for North America & Europe and Auxiliary Bishop of the Archieparchy of Trivandrum, on 18 June 2001. His Excellency Rt. Rev. Msgr. lsaac Mar Cleemis was consecrated as bishop on 15 August 2001 at St. Mary’s Malankara Catholic Church, Thirumoolapuram, Thiruvalla. The Eparchy of Bathery celebrated its Silver Jubilee year from 28 October 2002 to 28 October 2003. The Silver Jubilee celebrations began with the Holy Qurbono by His Grace Most Rev. Dr.Cyril Mar Baselios, the first Bishop of Bathery and with the solemn declaration of the Jubilee year by His Excellency Most Rev Dr.Geevarghese Mar Divannasios on 28 October at St. Thomas Cathedral, Bathery. The concluding celebration of the Jubilee year was held along with the 73rd Re-union celebration of the Malankara Catholic Church from 18 to 20 September 2003. During the past years, the Eparchy of the Bathery and its pastoral leadership was formally established in the different geographical area of the Eparchy. As a result many parishes and mission stations together with social, charitable and educational institutions were established in the Karnataka region of the Eparchy. A new Eparchy for the Karnataka region was a long cherished dream of the Malankara Catholic faithful in the region. This dream was fulfilled at the moment of the solemn declaration of the new Eparchy of Puttur on 25 January 2010. On 25 January 2010, as per the decision of the Holy Episcopal Synod of the Syro-Malankara Catholic Church, and having consulted the Apostolic See of Rome, His Beatitude Moran Mor Baselios Cleemis Major Archbishop-Catholicos, erected the Eparchy of Puttur bifurcating the Eparchy of Bathery. The territory of the Eparchy of Puttur consists of the civil districts of Dakshina Kannada, Chamarajnagar, Chickmanglur, Hassan, Kodagu, Mandya, Mysore, Shimoga and Udupi of Karnataka State. On the same day His Beatitude Moran Mor Baselios Cleemis transferred His Excellency Most Rev. Dr. Geevarghese Mar Divannasios from the Eparchy of Bathery and appointed him the first Bishop of the newly erected Eparchy of Puttur. His Beatitude also transferred His Excellency Most Rev. Dr. Joseph Mar Thomas, the then Apostolic Visitor to North America and Europe and the Auxiliary Bishop of the Major Archieparchy of Trivandrum, and appointed him the third Bishop of Bathery. Moran Mor Baselios Cleemis Catholicos installed His Excellency Most Rev. Dr. Joseph Mar Thomas as the Bishop of Bathery at St. Thomas Cathedral, on 13 April 2010. At present the Eparchy of Bathery comprise of the civil districts of Wayanad, Malapuram, Kozhikode, Kannur, Kasargode of Kerala State and Nilgiris of Tamil Nadu. The ecclessiastical districts of the Eparchy at present are Bathery, Pulpally, Nilgiris, Nilambur, Edakkara, Kozhikode, Mananthavady and Kannur. There are 86 priests of the diocesan clergy, three priests from Bethany Ashram and one priest from the OCD congregation who render their dedicated service for the pastoral care of the community. Sisters from Bethany Congregation, Daughters of Mary, Deena Sevana Sabha, Holy Spirit Sisters, FMM Sisters, John the Baptist Sisters are also give their valuable service in the Eparchy. St. Thomas, one of the Apostles of Jesus Christ had come to India in 52 A.D. Out of the churches established by St. Thomas, the Civil District of Kanyakumari is privileged to have the ARAPPALLY at Thiruvithancode. Though there was a Christian community in Kanyakumari right from the beginning of the 1st century, it could not prevail to be a sizeable Christian community. In the 16 century, the Portuguese Missionaries arrived in the Civil District of Kanyakumari and as the result of their missionary works, the Christian community there began to grow. Later during the British regime in India, the Protestant missionaries also started their work among the people in the Civil District of Kanyakumari, which was in fact a part of the erstwhile State of Travancore. On 20 September 1930 when Metropolitan Archbishop Mar Ivanios together with a group of four people (a Bishop, a Priest, a deacon and a layman) reunited with the Catholic Church, the Malankara church paved the way for regaining its Catholic communion. On 11 June 1932 by the Apostolic constitution Christo Pastorum Principi, His Holiness Pope Pius XI established the Syro Malankara Catholic Hierarchy comprising the Archdiocese of Trivandrum and the Diocese of Tiruvalla. Mar Ivanios, the pioneer of the Reunion Movement, extended his mission work to Kanyakumari Civil District in 1934. With the dedicated service of the Priests and the Religious from various Dioceses and Congregations, many parishes and missions of the Malankara Church could be established in the District of Kanyakumari. After the demise of Mar Ivanios, under the guidance of His Grace Archbishop Benedict Mar Gregorios of happy memory, the number of parishes and missions increased. Vocation to priesthood and the religious life from this region also increased. At the demise of His Grace Mar Gregorios, His Grace Most Rev. Cyril Mar Baselios assumed the office of the Metropolitan Archbishop of Trivandrum. Considering the linguistic, social and cultural heritage of the people of this region and the vast area of the Metropolitan Eparchy of Trivandrum, at the request of His Grace Most Rev. Cyril Mar Baselios, His Holiness Pope John Paul II, by an Apostolic Decree dated 16 December 1996, bifurcated the Metropolitan Eparchy and erected the Eparchy of Marthandam having its head quarters at Marthandam, and appointed Most Rev. Lawrance Mar Ephrem as its first Bishop. Thus the fourth Diocese of the Malankara Catholic Church came into existence and His Excellency Most Rev. Lawrence Mar Ephrem took charge as its first Bishop. The enthronement of His Excellency Most. Rev. Lawrence Mar Ephrem as the Bishop of Marthandam took place on 23 January 1997 at the Christuraja Cathedral, Marthandam. His Grace Most Rev. Cyril Mar Basalios, the Metropolitan Archbishop of Trivandrum officiated the liturgical ceremony, and executed the Papal Bull of the erection of the new Eparchy of Marthandam. After a prolonged illness, His Excellency Bishop Lawrence Mar Ephrem slept in Our Lord on 8 April 1997. On 16 April 1998, His Holiness Pope John Paul II appointed Most Rev. Yoohanon Mar Chrysostom as the second Bishop of the Eparchy of Marthandam. His Excellency was consecrated as Bishop on 29 June 1998 and was enthroned as the Bishop of Marthandam on 1st July 1998. On the same day His Beatitude Moran Mor Baselios Cleemis transferred His Excellency Most Rev. Yoohanon Mar Chrysostom from the Eparchy of Marthandam and appointed him the first Bishop of the new Eparchy of Pathanamathitta on 25 January 2010. Having been elected by the Holy Episcopal Synod of the Syro-Malankara Catholic Church, with the assent of His Holiness Pope Benedict XVI, on the same day, His Beatitude Moran Mor Baselios Cleemis Catholicos appointed Rev. Dr. Vincent Kulapuravilai, as the third Bishop of Marthandam. His Beatitude Moran Mor Baselios Cleemis ordained him as bishop with the name Vincent Mar Paulos at Mar Ivanios Nagar (Stadium) Nalanchira, Trivandrum on 13 March 2010. His Excellency Most Rev. Dr. Vincent Mar Paulos was installed as the third Bishop of the Eparchy of Marthandam by His Beatitude Moran Mor Baselios Cleemis Catholicos on 14 March 2010 at Christu Raja Cathedral, Marthandam. The mission command of Jesus Christ to preach the Gospel is manifested by the apostolic activities of St. Thomas in India. The emergence of Thomas Christians in India particularly in Kerala led to the growth of a solid Christian community in Kerala, which is characterized by its liturgy, spirituality, discipline etc. The Thomas Christians were one community till the historical Coonan Cross Oath in 1653. The event divided the church into various denominations. In order to restore the unity, Mar Ivanios wholeheartedly accepted the communion of the Catholic Church. Since then the Malankara Catholic Church has been growing steadily and extending its missionary activities to the various areas of this land. Though much has been done to lay the foundation for the unity of Churches, there still remains a large area untouched as far as the mission of the Church is concerned. It was absolutely out of the ardent mission zeal that the Malankara Catholic Church wished for a new diocese in the central part of Kerala. The establishment of the Eparchy of Muvattupuzha is really a milestone in the stable development of the Malankara Catholic Church in India. Since the geographic area covers the highest number of non-Catholic Thomas Christians, the mission and vision of the diocese cannot be other than that of the Reunion Movement itself. It was then Metropolitan of the Eparchy of Tiruvalla, His Excellency Most Rev. Geevarghese Mar Timotheos, out of his far-reaching vision of the mission of the Church and for the overall development of the northern region of the Eparchy, took initiatives to bifurcate the Eparchy of Tiruvalla and to erect the new Eparchy of Muvattupuzha. The proposal was accepted by the Holy Father Pope John Paul II, who made canonical provision for the establishment of the Eparchy of Muvattupuzha on 15 January 2003. The Holy Father appointed His Excellency Most Rev. Dr. Thomas Mar Koorilos as its first Metropolitan. The installation took place on 6 February 2003 at Vazhappilly, Muvattupuzha. His Excellency Most Rev. Dr. Thomas Mar Koorilos took initiative to organize departments and institutions for the effective realization of the goals set by the new Eparchy. The 76th anniversary of the Reunion Movement was held at Vazhappilly, Muvattupuzha on 20 and 21 September 2006. After five years of leadership in the Diocese His Excellency Most Rev. Dr. Thomas Mar Koorilos was appointed Metropolitan-Archbishop of Tiruvalla on 2 May 2007. On the same day Major Archbishop-Catholicos of the Malankara Catholic Church, His Beatitude Moran MorBaselios Cleemis appointed Rev. Msgr. John Varghese Easwarankudiyil as the Administrator of the Eparchy. As per the election of the Holy Episcopal Synod and with the assent of the Holy Father Pope Benedict XVI, His Beatitude Moran Mor Baselios Cleemis, the Major Archbishop-Catholicos, appointed Rev. Dr. Abraham Kackanatt, CEO & Secretary of Pushpagiri Medical Society, as the Bishop of Muvattupuzha on 18 January 2008. He was ordained with the name Abraham Mar Julios by His Beatitude Moran Mor Baselios Cleemis Catholicos and was installed as the second Bishop of the Eparchy of Muvattupuzha at the St. Joseph’s Cathedral, Muvattupuzha on 9 February 2008. The Eparchy of Muvattupuzha comprises the civil districts of Ernakulam, Thrissur and Palakkad in Kerala State and Coimbatore, Tirupur, Erode and Karur in Tamil Nadu. The vision of the Eparchy is to make steady progress in the field of ecumenism and the re-integration of the Churches as well as the holistic development of society. To this vision we are committed and all our activities are geared towards this great goal. The Apostolic Church of St. Thomas Christians in India has always remained in Catholic Communion until 16 century. But, under the influence of ‘padroado’ agreement, the Indian Church of St. Thomas came into direct contact with the Latin Catholic Church through the Portuguese missionaries. The missionaries, who were mostly ignorant of the Oriental Catholic traditions wished to latinize the St. Thomas Christians of India in a clandestine manner and that ended up in the revolt of Koonan Kurisu Sathyam (Bended Cross Pledge) in 1653. Consequently, the Church of St. Thomas split into two known as Pazhayakoottukar and Puthenkoottukar. The Puthenkoottukar, being comparatively a small group made several attempts to re-establish the long existed communion with Rome. Since they failed in their efforts to come into communion with Rome, they, somehow, managed to establish communion with Jacobite Syrian Church of Antioch. Even after establishing communion with the Jacobite Church of Antioch, the prelates of Puthenkoottukar continued their efforts for reunion with Rome. Thus, the reunion attempt under the leadership of Bethany Metropolitan Mar Ivanios was duly authorized by the Jacobite Holy Episcopal Synod (Methran Kakshi) held at Parumala, near Tiruvalla, Kerala on 1st November 1926. Mar Ivanios, following earnestly the mandate of Holy Synod, made prolonged negotiations with Rome. Finally on 4 July 1930, Rome took the crucial decision to accept the request of Puthenkoottukar represented by Mar Ivanios. Thereafter, on 20 September 1930, Mar Ivanios and four others, made profession of faith, before the Quilon Bishop Maria Aloysius Benzigar O.C.D. as per the direction from Rome. Since the Reunion Movement gained momentum, Pope Pius XI of happy memory, through the Apostolic constitution “christo pastorum principi” of 11 June 1932, established the Syro- Malankara Catholic Hierarchy for the reunited community and erected the Archieparchy of Trivandrum together with the Eparchy of Thiruvalla as its suffragan. The Archieparchy of Trivandrum was inaugurated on 11 May 1933, and Mar Ivanios was enthroned as its first Metropolitan Archbishop. After these epoch-making events under the providence of God, the Archieparchy of Trivandrum engaged in her double mission of Re-union and Evangelization. The committed and dedicated work of the priests, religious and laity made the Archieparchy to grow up and expand in ecclesial and social dimensions. The social and cultural heritage together with the linguistic consideration and development of the southern region of the Archieparchy led to the formation of the Marthandam Eparchy on 16 December 1996. Since the Malankara Catholic Church made great strides in its ecclesial and social development, Pope John Paul II, the servant of God, elevated the Malankara Catholic Church to the juridical status of the Major Archiepiscopal Church on 10 February 2005, with all its rights and obligations as per the Canon Law of the Eastern Churches (Vide, Apostolic Bull Ab ipso sancto Thoma). This event became the real fulfillment of the long cherished dream – to elevate this Church in to ‘Sui juris’ status – of the most venerated founding father Mar Ivanios, the servant of God. And that too, a turning point in the history of Malankara Catholic Church. Thereafter, considering the pastoral needs and the special circumstances of the people of God in the Major Archieparchy, the 4th ordinary Holy Episcopal Synod of Syro Malankara Catholic Church held from 31 October to 3 November 2006, decided to erect Mavelikara Eparchy. It comprises more or less the North-Western region of the erstwhile Trivandrum Major Archieparchy. Taking into account the significance of Mavelikara in the history of St. Thomas Christians of Puthenkoottukar, the newly erected Episcopal See was named after it. The famous Holy Mavelikara Synod and the Mavelikara ‘Padiyola’ (document) are the evidence of its historical importance. Moreover, Mavelikara is the native place of Mar Ivanios Metropolitan, the servant of God, the most venerated father of Malankara Church and founder of the Re-union Movement. As per the decision of the Holy Episcopal Synod of the Syro-Malankara Catholic Church, His Beatitude Moran Mor Cyril Baselios Catholicos, by the decree Prot.No. 1/2007, erected the Eparchy of Mavelikara, bifurcating the Major Archieparchy of Trivandrum, on 1 January 2007. His Excellency Most Rev. Dr. Joshua Mar Ignathios, the Auxiliary Bishop of Trivandrum was transferred and was appointed the first Bishop of the Eparchy of Mavelikara. The official inauguration of the Eparchy of Mavelikara and the Installation of His Excellency Most Rev. Joshua Mar Ignathios as its Bishop were held at St.Mary’s Church, Punnamood, Mavelikara on 16 February 2007. The Holy Qurbono was celebrated by the newly elected Major Archbishop-Catholicos and the Installation was officiated by the Administrator of the Church His Excellency Most Rev. Dr. Geevarghese Mar Divannasios. The Eparchy of Mavelikkara comprises of the prebsyteral districts of Mavelikakra and Kollam and parts of the presbyteral districts of Chengannur and Adoor. This coincides with the civil districts of Alapuzha minus the portions that belong to the Archdiocese of Tiruvalla and parts of the civil districts of Kollam and Pathanamthitta. After the formation of this new Eparchy the whole geographical area was re-arranged into five ecclesiastical districts; namely, Chengannur, Mavelikara, Kadampanad, Puthoor and Kollam. By the providence of God and under the able leadership of His Excellency Dr. Joshua Mar Ignathios the Eparchy is growing fast in all its dimensions. The Eparchy of Pathanamthitta is the seventh Eparchy of the Syro-Malankara Catholic Church after the event of re-union on 20 September 1930. As per the decision of the Holy Episcopal Synod of the Syro-Malankara Catholic Church, and having consulted the Apostolic See of Rome, His Beatitude Moran Mor Baselios Cleemis Major Archbishop-Catholicos, erected the Eparchy of Pathanamthitta bifurcating the Major Archieparchy of Trivandrum on 25 January 2010. On the same day His Beatitude Moran Mor Baselios Cleemis appointed His Excellency Most Rev. Yoohanon Mar Chrysostom, the then bishop of Marthandam, as the first Bishop of Pathanamthitta. The inauguration of the Eparchy of Pathanamthitta and the Installation of His Excellency Most Rev. Yoohanon Mar Chrysostom as the Bishop of Pathanamthitta was officiated by Moran Mor Baselios Cleemis Catholicos at Cyril Baselios Catholicos Nagar (Municipal stadium) and Sacred Heart Church, Mylapra respectively on 20 March 2010. The territory of the Eparchy of Pathanamthitta consists of four ecclesiastical districts – Pathanamthitta, Konni, Ranni-Perunadu, Pandalam and the parishes of Anandapally, Angadickal, Chandanapally, Pongalady and Thatta of the eccelsiatical district of Adoor. This Eparchy has 96 priests, out of whom 88 are Eparchial and 8 religious. It has on it rolls 100 parishes, all within the territories of the civil district, Pathanamthitta. They belonged to the 4 ecclesiastical districts, viz. Ranni-Perunad, Konni, Pathanamthitta and Pandalam and 5 parishes from the district of Adoor. Though the district of Pathanamthitta in Kerala and the Eparchy of Pathanamthitta are insignificant in the vast continent of India, they deserve a privileged position in the history of India’s evangelization. For it is traditionally believed that St. Thomas, one of the apostles of Jesus Christ, preached the good news of the saviour for the first time in India, and that he established 7 churches in Kerala and a mission station in Tamil Nadu. One of these churches is at Nilackal (Chayal) in the district of Pathanamthitta within the boundaries of the Diocese of Pathanamthitta. Hence, the Christians over here have an ancient history and patrimony. Besides the various Christian denominations, the Jacobites, Orthodox, Marthomites, etc. have strong communities within the boundaries of this Diocese. The region of Pathanamthitta enjoys a privileged position in the history of the Reunion Movement, headed by Mar Ivanios of happy memory. It was when Mar Ivanios was leading his religious life at Mundanmala (Ranni-Perunad) in the district of Pathanamthitta that he decided to take the courageous step of entering into full and visible communion with the Catholic Church when the other Prelates of his own Orthodox church retracted from their common decision for Reunion with the Mother Church. Since his decision was in fulfillment of the ardent desire of our Lord “that all may be one,” God blessed this endeavour of Mar Ivanios. Thus Pathanamthitta became the very cradle of the Reunion Movement. Several priests from within the town and its neighbourhood became zealous protagonists of the Movement, as a result of which, thousands of faithful from all Christian denomination embraced the Catholic Church. If we examine the history of the Major Archdiocese of Trivandrum of the Malankara Catholic Church, we can find that the region of Pathanamthitta is rich in divine vocations, both for the priesthood as well as for religious life. The Church in India traces its origin to the missionary endeavours of St. Thomas the Apostle who arrived in India in 52 AD. Due to this apostolic foundation, the ancient Christian Community in India was known as the St. Thomas Christians. This Church that remained one, holy, catholic and apostolic was autonomous and remained in communion with the Universal Church till the 17th century. A movement to Latinize the Indian Church, with the arrival of Portuguese missionaries resulted in a schism and a portion of this undivided community eventually came into contact with the Jacobites under the Patriarch of Antioch. There were many attempts for reunion with the Catholic Church ever since the split. The efforts of the Servant of God Archbishop Mar Ivanios and Bishop Jacob Mar Theophilos paved way to the historical event of Reunion Movement in the Malankara Church. On 20 September 1930 the Universal Church received the Malankara Church into the Catholic communion with its liturgy, customs and jurisdiction. As the Reunion Movement developed, Pope Pius XI established the Syro-Malankara Catholic Hierarchy for the reunited people and established the Archieparchy of Trivandrum and the Eparchy of Tiruvalla by the Apostolic Constitution, Christo Pastorum Principi of 11 June 1932. The Eparchy of Tiruvalla extended from the River Pampa in the south to the River Ponnani in the north. The migration of people from Kerala to the southern parts of Karnataka began in 1950s. The pastoral works in Karnataka commenced with the extension of the Eparchy of Tiruvalla on 14 February 1958 by the Holy See with the Decree Prot. 534/43. In the second half of the 1960, Most Rev. Zacharias Mar Athanasios sent Fr. Thomas Neriamparambil to explore the possibilities of the extension of the Malankara Mission in Dakshina Kannada. And later in 1967 the first Malankara Catholic Rite Mass was celebrated by Rev. Fr. Isaac Koottaplackal, later who became the Bishop of Thiruvalla. In the same year Rev. Fr. Thomas Thannickakuzhy was appointed Vicar and sent to South Kanara (Dakshina Kannada) to work among the Malankara faithful living in this region. Desiring to establish the identity of the Syro-Malankara Catholic Church and to accelerate the Reunion Movement in the newly organized territories, Mar Athanasios requested the Holy See to bifurcate the Eparchy of Tiruvalla and to erect a new Eparchy with Sulthan Bathery as its See. His Holiness Pope John Paul II responded to this request and erected the new Eparchy of Bathery on 28 October 1978. Most Rev. Cyril Mar Baselios was appointed as its first Bishop. After the erection of the Eparchy of Bathery, there has been a great progress in the evangelization work in Karnataka. However, the distance from the eparchial headquarters as well as the shortage of priests and religious were strong obstacles in organising the migrated people and founding new missions in this area. In spite of the said difficulties, due to the selfless hard work of priests, both eparchial and religious who belong to the Order of the Imitation of Christ (OIC), and the religious sisters belonging to the congregations of the Sisters of the Imitation of Christ (SIC), the Daughters of Mary (DM), the Deena Sevana Sabha (DSS) and the Holy Spirit Sisters (OSS), 20 parishes and mission centres were established. The Eparchy and the religious congregations also started a few educational institutions to impart a value-based education to the children and youth irrespective of their social, religious and cultural differences. There aroused a desire in the Faithful of our Church in this region to be organized into an Eparchy for their ecclesial growth and development. On the recommendation of Most Rev. Geevarghese Mar Divannasios, the then Bishop of Bathery, taking into consideration of the geographical, cultural and linguistic identity of the northern region of the Eparchy of Bathery, the Holy Episcopal Synod of the Syro-Malankara Catholic Church convoked from 17 to 21 November 2008, decided to erect a new eparchy in the region. Bearing in mind the geographical position of the city of Puttur and the other diocesan centres of other Churches, the city of Puttur was fixed as the Episcopal See of the new eparchy. In consultation with the Apostolic See, His Beatitude Moran Mor Baselios Cleemis Catholicos, the Father and Head of the Church, with the Apostolic Decree Prot No.2/2010, erected the Eparchy of Puttur on 25 January 2010. He also transferred Most Rev. Geevarghese Mar Divannasios from the See of Bathery and appointed him as the first Bishop of the Eparchy of Puttur. The Pro-cathedral of the new eparchy was fixed to be St. Mary’s Church, Noojibalthila and the Patron Saint of the Eparchy is St. Joseph. With the enthronement of its first Bishop, at St. Mary’s Church Noojibalthila, the Pro-Cathedral, the new eparchy was inaugurated on 15 April 2010. The Eparchy consists of nine civil districts of Karnataka State with a vast geographical area of 51,950 sq. km. The civil districts are Dakshina Kannada, Chamarajnagar, Chickmagalur, Hassan, Kodagu, Mandya, Mysore, Shimoga and Udupi. It has two ecclesiastical districts at present, namely, South Kanara (Dakshina Kannada) and Shimoga. The Church of Christ, founded in India by St. Thomas the Apostle, was in communion with the Universal Church, especially with the Churches of the Persian Empire where the Apostle had begun the preaching of the Word of God. However, with the loss of this universal communion in the seventeenth century, a part of this Church came into contact with the Jacobite Church of Antioch. It was the historic event of the communion of the Malankara Church, under the leadership of the Servant of God Archbishop Mar Ivanios that opened up this portion of the Church of St. Thomas Christians again into the universal communion of Catholic Churches. Archbishop Mar Ivanios made the presence of the Syro-Malankara Catholic Church felt in the various parts of the world. He visited Rome and some of the countries of Europe in 1932. His visit to the United States of America in 1947 marked a remarkable event in the history of the Syro-Malankara Catholic Church. It was the visitation of the late Most Rev. Benedict Mar Gregorios, the Metropolitan Archbishop of Trivandrum, and the late Most Rev. Zacharias Mar Athanasius, Bishop of Tiruvalla, that inspired and initiated the scattered Malankarites in North America to form an ecclesial community. Malankara communities were formed in different cities of the United States, particularly in New York in 1980, Dallas in 1981, Philadelphia in 1982, and Chicago in 1983. In the absence of a canonical provision, a legal entity became a necessity for the proper functioning and growth of the Malankara community. Hence the Malankara Catholic Mission of North America Inc. was registered on 29 June 1984. The following were the officials elected at that time: Rev. John Mathew Elanjileth (President); Rev. John Melamparampil (Vice President); Dr. Babu George (Chairman); Mr. Benjamin Mathew (Secretary); Mr. Alex John Thangalathil (Treasurer); Mr John Panicker (Administrative Director); and Mr. James Alexander, Mr. C.M. Joseph, Mr. KuriakoseKidarathil, Mr. NinanOommenMaret, Mr. John Mathai, and Mr. A.J. Varghese as directors. The official inauguration of the Syro-Malankara Catholic Mission of North America was on 25 August 1984 in a meeting held at Fordham University, New York, led by His Grace the Most Rev. Benedict Mar Gregorios, the Metropolitan Archbishop of the Syro-Malankara Catholic Church. His Eminence John Cardinal O’Connor, Archbishop of New York, delivered the keynote address at this inaugural meeting. The Malankara Catholic Missions in North America were guided by Reverend Fathers appointed by the Metropolitan Archbishop of Trivandrum, who took a personal interest in the formation and growth of our Church here in this country. From 1984 to 2001, Rt. Rev. Melamparambil John Ramban, Rt. Rev. Kalloor John Corepiscopo (later Most Rev. Yoohanon Mar Chrysostom), Rt. Rev. Mannikarott Geevarghese Corepiscopo and Rev. Dr. Peter Kochery served the Syro-Malankara Catholic Community in North America as Priests-in-charge and Coordinators. Responding to the request of the Syro-Malankara Catholic Hierarchy to have an ecclesiastical provision for the ecclesial growth of the Syro-Malankara Catholics in the USA, Canada, and Europe, on 18 June 2001, the Holy Father Pope John Paul II appointed Rt. Rev. Msgr. Dr. Isaac Thottunkal (later Moran Mor Baselios Cleemis Catholicos), then-Vicar General of the Eparchy of Bathery, as Titular Bishop of Chayal and Auxiliary Bishop of the Archieparchy of Trivandrum with the special mission as Apostolic Visitator for the Syro-Malankara Catholic Faithful in North America and Europe. Msgr. Isaac Thottunkal was ordained Bishop with the name Isaac Mar Cleemis on 15 August 2011, by His Grace Most Rev. Dr. Cyril Mar Baselios, the Metropolitan Archbishop of the Malankara Catholic Church. The Hierarchy of our Church continued the dialogue with the Holy See for a stable canonical provision for the faithful in the USA. And, on 10 May 2002, Archbishop Cyril Mar Baselios officially submitted the application for the same to the Holy See. On 2 October 2003, Most Rev. Isaac Mar Cleemis was transferred to the Eparchy of Tiruvalla as its Bishop. After an extended period, on 5 January 2005, Rev. Dr. Joseph Konnathu then-Principal of Mar Theophilus College, Trivandrum, was appointed Titular Bishop of Sicilibbensis and Auxiliary Bishop of the Major Archieparchy of Trivandrum with the special mission as Apostolic Visitator for the Syro-Malankara Catholic faithful in North America and Europe. Msgr. Joseph Konnathu was ordained Bishop with the name Joseph Mar Thomas on 19 February 2005, by His Beatitude Moran Mor Cyril Baselios Catholicos, the Major Archbishop of the Syro-Malankara Catholic Major Archiepiscopal Church. On 25 January 2010, Most Rev. Dr. Joseph Mar Thomas was transferred to the Eparchy of Bathery in India as its Bishop. As per the request of His Beatitude Moran Mor Baselios Cleemis, Major Archbishop-Catholicos on 14 July 2010, the Holy Father Pope Benedict XVI erected an Exarchate for the Syro-Malankara Catholic Church in the United States of America. Rev. Fr. Thomas Naickamparambil of the Major Archieparchy of Trivandrum was appointed the first Bishop of the new Exarchate and Apostolic Visitator to Canada and Europe. Rt. Rev. Msgr. Naickamparambil was ordained Bishop with the name Thomas Mar Eusebius by His Beatitude Moran Mor Baselios Cleemis Catholicos on 21 September 2010 in St. Mary’s Cathedral, Pattom, Trivandrum. The official inauguration of the Exarchate in the USA was held on 3 October 2010, at Bishop Kellenberg Memorial High School, New York. During the function His Excellency Most Rev. Dr. Thomas Mar Eusebius assumed the office as the first bishop of the Exarchate in the USA. His Beatitude Moran Mor Baselios Cleemis Catholicos, officiated the installation and inaugurated the Exarchate. The Syro-Malankara Conventions held at New York, Chicago, Philadelphia & New Jersey and the Youth Conferences held at Philadelphia, Houston, &Toronto and the Family Conferences held in New York helped us to cherish our cultural heritage and liturgical patrimony. The Apostolates of MCA, MYCM, Fathers’ Forum, Mothers’ Forum, Sunday School, etc. greatly help in the growth of the Syro-Malankara Catholic Church in the USA. At present there are 14 parishes and a few mission stations for the Malankara Catholic Church in America. Around 10,000 members are there in the Exarchate. There are 33 Priests and 34 Religious Sisters rendering their ministry in this region. Three Bethany convents and seven Daughters of Mary convents are situated in the new Exarchate. The undivided Syro-Malankara Syrian Church founded by the Apostle St. Thomas regained full communion with the Catholic Church on 20 September 1930 through the untiring ecclesial re-union efforts of the Servant of God Archbishop Mar Ivanios. The Holy Father, Pope Pius XI through the Apostolic Constitution Christo Pastorum Principi of 11 June 1932, established the Syro-Malankara Catholic Hierarchy and elevated it to the status of a Metropolitan Church. In 2005 Saint Pope John Paul II raised it to the status of Major Archiepiscopal Church. The mission of the Syro-Malankara Catholic Church outside its proper canonical territory gradually began with the efforts of individual missionaries; however a major landmark was the establishment of Bethany Ashram Pune on 24 October 1955. From Pune, the Bethany Fathers took care of the Malankara Catholic faithful in Mumbai-Pune regions. Soon the Malankara Catholics in other cities of India began to organize themselves as Malankara Catholic Associations. From the beginning of 1970’s the Malankara Syrian Hierarchy directly took initiative and began sending priests from the Eparchies to these communities. From 1980 these communities began to be erected canonically as personal parishes in the dioceses where they were registered. The Hierarchy gave further support to them appointing Rev. Fr. John Berchmans OIC in 1997 as the Co-coordinator of the Malankara Syrian Catholics outside the territorium proprium. Under his assiduous leadership the communities got organized strongly under the banner ‘The Malankara Catholic Church Extra Territorial Regions in India’ (MCC-ETRI). On February 2007, Most Rev. Dr. Bishop Jacob Mar Barnabas was appointed Apostolic Visitator of the Extra-territorial Region in India by the Holy Father Pope Benedict XVI. Later, the Holy Episcopal Synod of the Syro-Malankara Catholic Church officially entrusted Bishop Jacob Mar Barnabas with the pastoral care of the Syro-Malankara Catholic faithful residing outside of its proper territory in India. On 26 March 2015 at 4:30 pm His Holiness Pope Francis by the Decree N 7780/15 erected the St. John Chrysostom Eparchy of Gurgaon for the Malankara Syrian Catholic Church in India outside of her proper territory and Most Rev. Dr. Jacob Mar Barnabas, Apostolic Visitator of the undivided MCC-ETRI was appointed as its first Bishop. Bifurcating the MCC-ETRI, St. Ephrem Exarchate of Khadki was also erected on the same day and Most Rev. Dr. Thomas Mar Anthonios was appointed as its first Exarch. Indeed, with the establishment of these two canonical provisions, the Malankara Syrian Catholic Church has received an ecclesiastical jurisdiction to preach the Good News to all over in India. The Servant of God Archbishop Mar Ivanios dreamed of and prayed for a Malankara Syrian Catholic Church that would be blessed with the charism of preaching the Word of God to the entire nation of India with full canonical autonomy. The long cherished prayer and dream of the Servant of God is now realized. And it also doubles the delight that the decision of the Holy See came during the Birth Centenary year of Archbishop Benedict Mar Gregorios of revered memory, who untiringly worked to bring the task of evangelization to the extra-territorial regions both in India and abroad. The Church is also greatly indebted to Moran Mor Cyril Baselios, the first Major Archbishop-Catholicos of the Syro-Malankara Catholic Church for his deep theological and ecclesiastical vision and mission endeavors. Indeed, it is under the outstanding and efficient leadership of His Eminence Cardinal Baselios Cleemis, the Major Archbishop-Catholicos, the father and head of the Syro- Malankara Catholic Church, that the church became more vibrant in her evangelical perspective, and she is blessed with the new Eparchy of Gurgaon. The Eparchy of Gurgaon is spread over 22 States in the North and East regions of India. This Eparchy has a huge territory which includes 22 of the 29 states of India. The southern border of the circumscription includes the four central States: Gujarat, Madhya Pradesh, Chhattisgarh and Orissa. Besides in these States, the faithful are diffusely present especially in Punjab, Haryana, Delhi, Uttar Pradesh, Rajasthan and West Bengal. The Eparchy of Gurgaon is established under the name of St. John Chrysostom (the Greek name for Mar Ivanios). St. Mary’s Church in Neb Sarai, Delhi is the Cathedral Church for the Eparchy of Gurgaon. New Delhi is the Centre of the Eparchy, as it is the metropolitan area with the most substantial concentration of the Malankara Syrian Catholic faithful, distributed in nine parishes. The Bishop’s residence and chancery is at the Mar Ivanios Bhawan, Neb Sarai, IGNOU Road (Saket). Currently, there are sixteen institutions in the new Eparchy, including two colleges, three higher secondary schools and two high schools. The inauguration of the St. John Chrysostom Diocese of Gurgaon and the installation (Sunthroneeso) of Most Rev. Dr. Jacob Mar Barnabas took place on May 1, 2015 at St. Mary’s Malankara Catholic Cathedral Church, Neb Sarai, New Delhi. The liturgical ceremonies and public meeting were presided over by His Eminence Moran Mor Baselios Cardinal Cleemis, the Major Archbishop-Catholicos, the father and head of the Syro-Malankara Major Archiepiscopal Church. The presence of Archbishop Salvatore Pennachio, the Apostolic Nuncio to India, Hierarchs from the Latin Rite and the Syro-Malabar Rite and other sister churches, prominent political and social leaders of the country, priests, religious and number of faithful from all walks of life graced the occasion. (iii) Home for the Destitute. The non-formal education program at Mansarover Park and Neb Sarai are being well attended by a good number of street children. Through the Food for Hungry Program, the Social wing of the Eparchy provides free luncheons to those who are living in the streets of Delhi. This program is supported by individuals, families, and institutions of all faith. While distribution of food, seriously sick people found in the streets are take to Shanti Ashram, the Prachodana destitute home at Jasola and are provided with adequate nursing care. The Eparchy of Gurgaon is a mission territory in the Syro-Malankara Catholic Church with a vast territory of 22 states in India. There are ample mission possibilities in this new Eparchy. ‘The Orissa Mission Animation’ program of the Eparchy is an exemplary model in this regard. The vision of the Eparchy of Gurgaon is to make steady progress in the field of spreading the joy of the Gospel (evangelization) as well as the integral development of the people, particularly in those regions entrusted to its pastoral care. To this vision and mission the Mission Eparchy of Gurgaon is committed and all our activities will be tuned primarily towards these noble goals.